The Cato Institute campaigns for reduced government and deregulation of the economy. 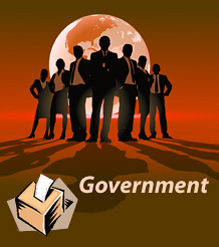 It calls for many government functions to be turned over to the private sector. It is another of the new generation of Washington-based think tank think tanks established with business money in 1977. It was started with $500,000 from Charles Koch (pictured), whose father Fred Koch, also a business man, had helped to found the John Birch Society. Koch was CEO of oil/chemical conglomerate Koch Industries. David H. Koch, Executive Vice President, Koch Industries (America's largest private company), is on the Board of Directors today. Reference: John Hood, 'Send in the Tanks', National Review, 47(23), 1995, pp. 80-1.; R. Kent Weaver, ‘The Changing World of Think Tanks’, PS: Political Science and Politics, vol 22, Sept 1989, p. 572. Cato is a medium sized think tank and its research reflects its ideological stance - libertarian and therefore anti-government. It tends to publish longer, more philosophical papers than the Heritage Foundation’s backgrounders but it does detailed policy work as well and testifies with increasing frequency before government committees. It also sponsors policy conferences, provides radio commentators and even has its own daily radio program. Its 32 strong Speakers Bureau featured no women in 2009. Reference: William A. Niskanen, ‘Cato Institute’, Cato Institute, 1995; ‘The Good Think-Tank Guide’, Economist, vol 321, no 7738, 1992. Cato was also influential during the Reagan years. William Niskanen, was acting chair of Reagan’s Council of Economic Advisers in 1985 when he left to become chair of the Cato Institute. He was previously a director of economics at the Ford Motor company, a founder of the National Tax Limitation Committee and a defense analyst at the Pentagon. Reference: 'The New Boys (2): Tanked Up', The Economist, vol 333, no 7893, 1994, pp. 26-7; ‘Media Comments’, The Cato Institute, November 1995. Reference: 'About Cato', Cato Institute, 2009; ‘Cato Institute’, MediaMatters Action Network, 2009; 'The Cato Institute', Right Wing Watch, People for the American Way, 2006. Most of the Cato Institute’s annual budget of around $24 million (2007) comes from private grants and gifts from foundations —including the Sarah Scaife, Olin, and Bradley Foundations, individuals, and corporations, including Philip Morris, American Express, the American Petroleum Institute, ExxonMobil, Shell Oil, Eli Lilli and Pfizer. It has 105 full-time employees, around 100 scholars and fellows, as well as interns. Cato also funds other like-minded think tanks. According to Foreign Policy magazine, the Cato Institute is one of the top ten think tanks in the US in terms of influence.